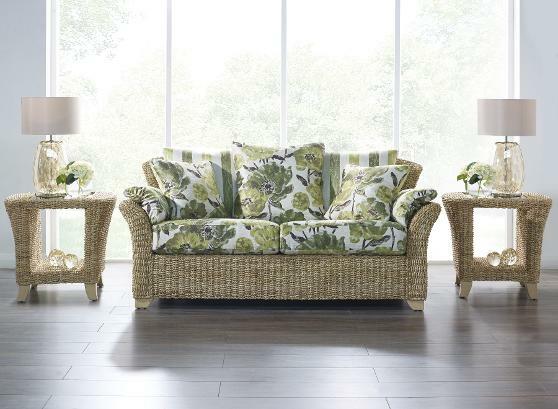 The Garda range is made from natural Abaca (type of Seagrass) providing stylish and contemporary high quality furniture. This furniture is based on lounge furniture dimensions and comfort. Sprung seat. Frame colour available in Abaca only. 2 Seater Suite WITHOUT arm pads. 2.5 Seater Suite WITHOUT arm pads. 2.5 Seater Suite with scatter back cushions WITHOUT arm pads. 2.5 Seater Sofa WITHOUT arm pads. 2.5 Seater Sofa with scatter back cushions WITHOUT arm pads.